Mandy isn’t happy when her mother tells her that in order to find a husband she is going to need to move to Denver with her Aunt and Uncle. Mandy’s mother thinks that Mandy has belittled all of the men in Cross Creek through the years and must find new prospects out of the area. Through the years Mandy has often felt put down by the boys she has grown up with. After all, boys don’t like a girl who is taller than them and can out-perform them. Adam has inherited his uncle’s ranch. He’s needed a lot of advice to learn how to run the ranch since he was a banker by trade. So Adam has taken to anonymously writing to Ask Mack of the current newspaper in the area. Ask Mack is an advice column for men on ranching and nothing else. Adam is attracted to Mandy and vice-versa, but they both have some insecurities and one is holding a secret that may not settle too well with the other. Can they set aside their misconceptions and misunderstandings and both find they were meant for each other? 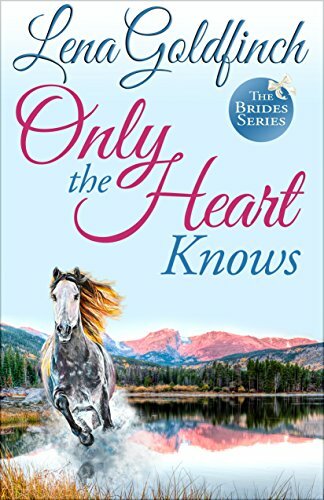 Only The Heart Knows; it was a sweet romantic read. I enjoyed reading as both characters developed and matured and found their way. There were a couple of scenes that had me laughing out loud as well as more serious tones that delved deeper into insecurities that the characters had. Mandy and Adam were perfect for each other and the story had a very satisfying Happily Ever After that left me with a smile on my face.